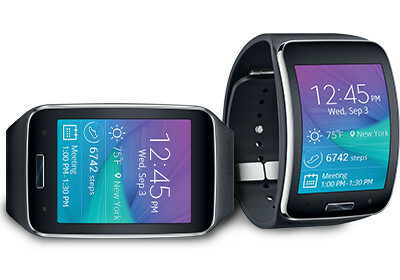 Samsung has released the Galaxy Gear S for AT&T in October 2014. This device uses a nano-sim card and runs on Samsung’s smartwatch OS; Tizen. The Gear S has 4GB of internal memory and does not support external memory. It has a 2″ super AMOLED touch screen with Corning Gorilla Glass. The watch itself is IP67 certified; water and dust resistant up to 1 meter and 30 minutes. It also has a dual-core processor making it efficient while on-the-go. The Galaxy Gear S supports wi-fi, bluetooth, and GPS but will require a Samsung Galaxy smartphone for the initial set-up. Once unlocked, the Gear S can be used with compatible GSM service providers only. Unlocking your AT&T Galaxy Gear S is fast, simple and 100% guaranteed by Cellunlocker.net. Unlock your AT&T Galaxy Gear S with Cellunlocker.net today receive your network unlock pin on the same day! Unlock Your AT&T Galaxy Gear S Today!